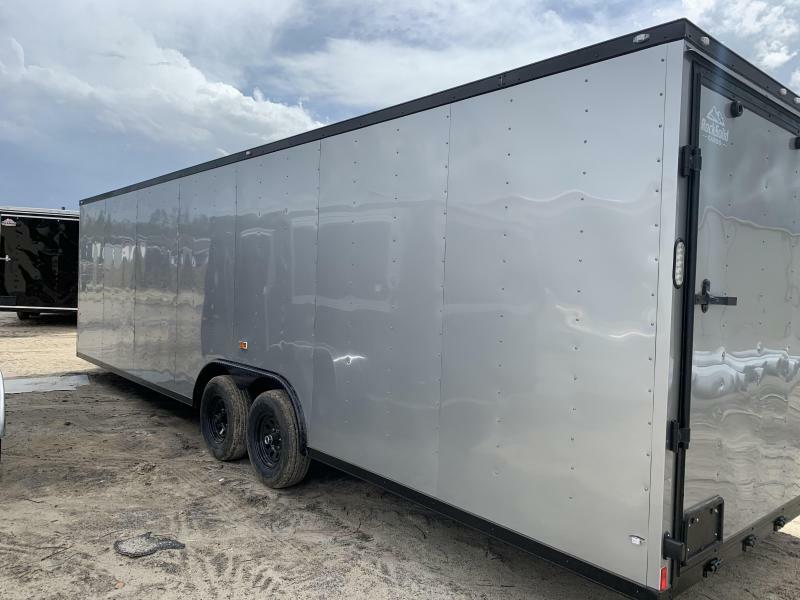 Checkout this 8.5x28 Silver Frost Blackout Package! 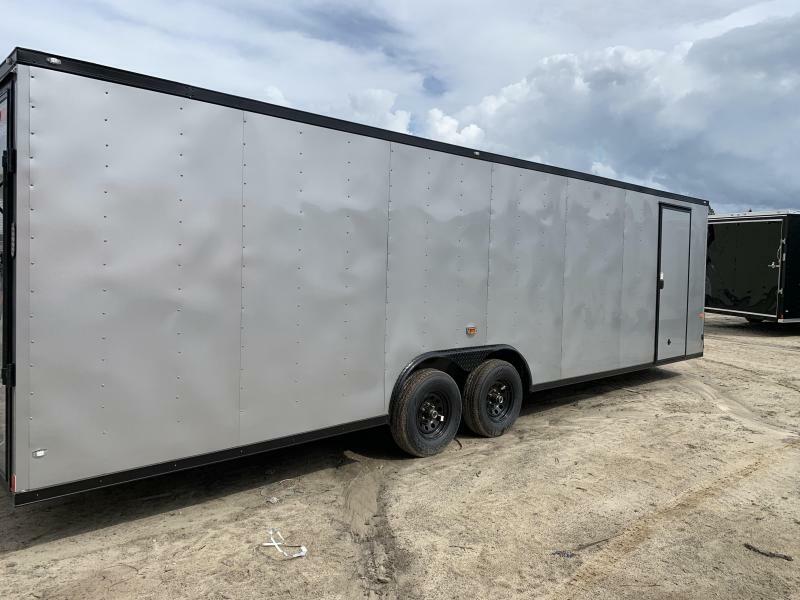 Build Time: 8-10 business days. 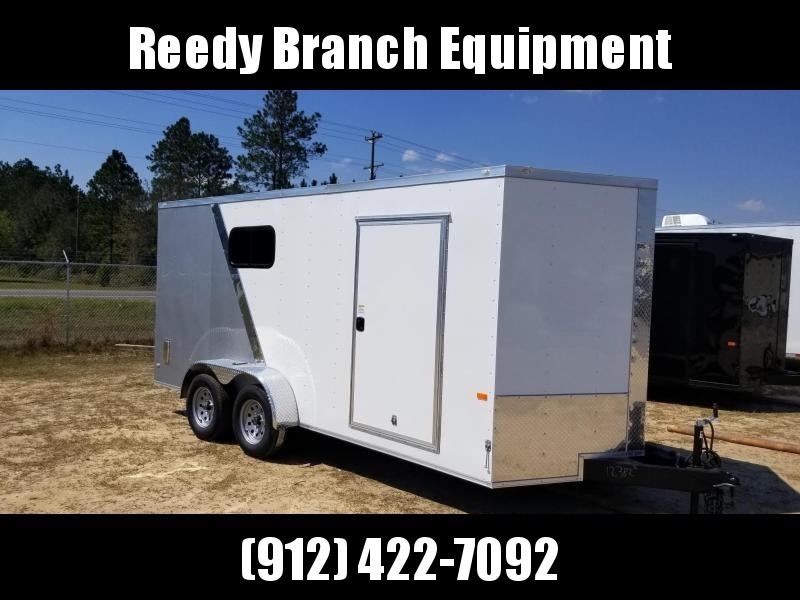 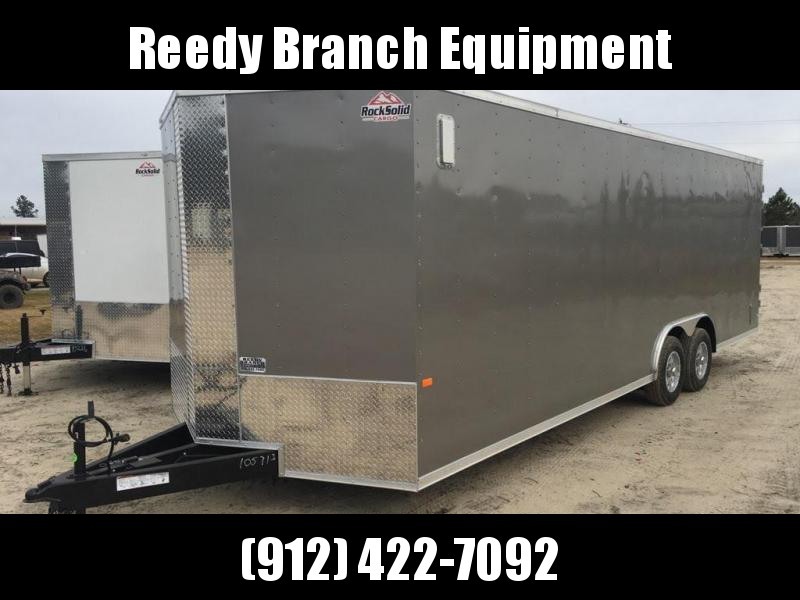 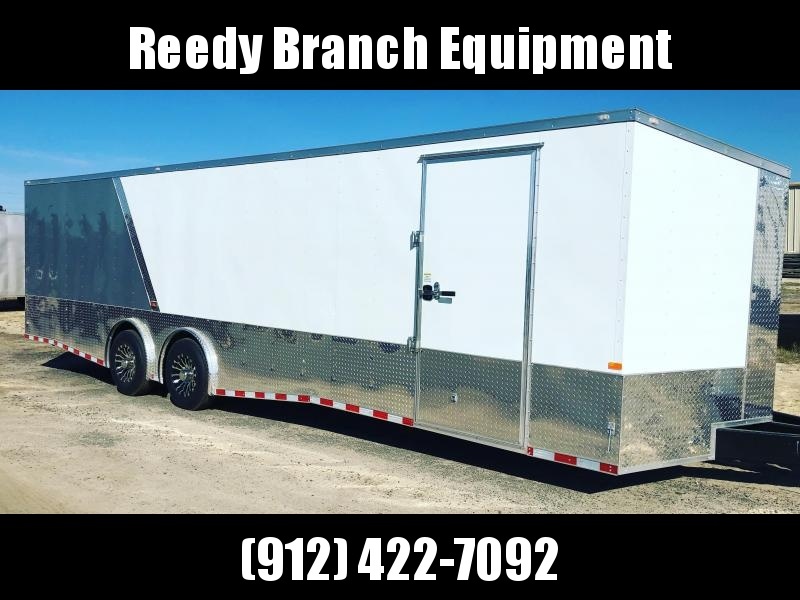 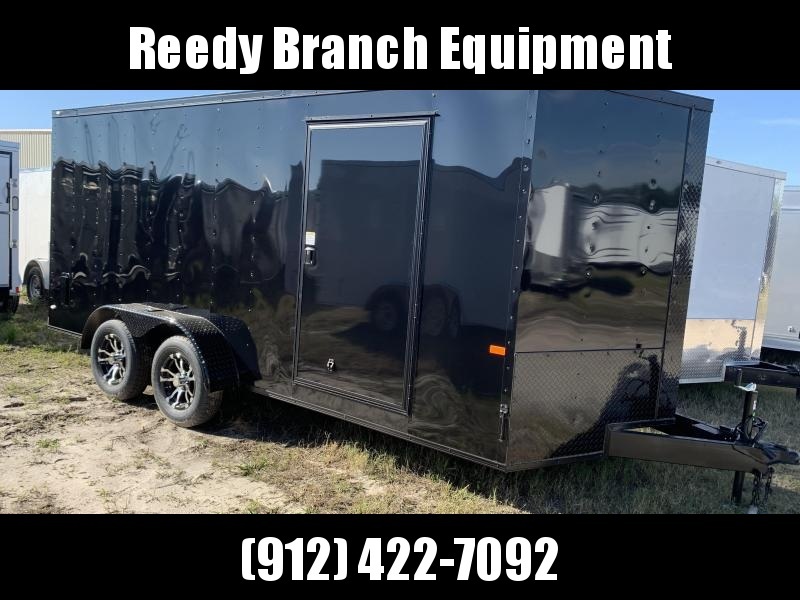 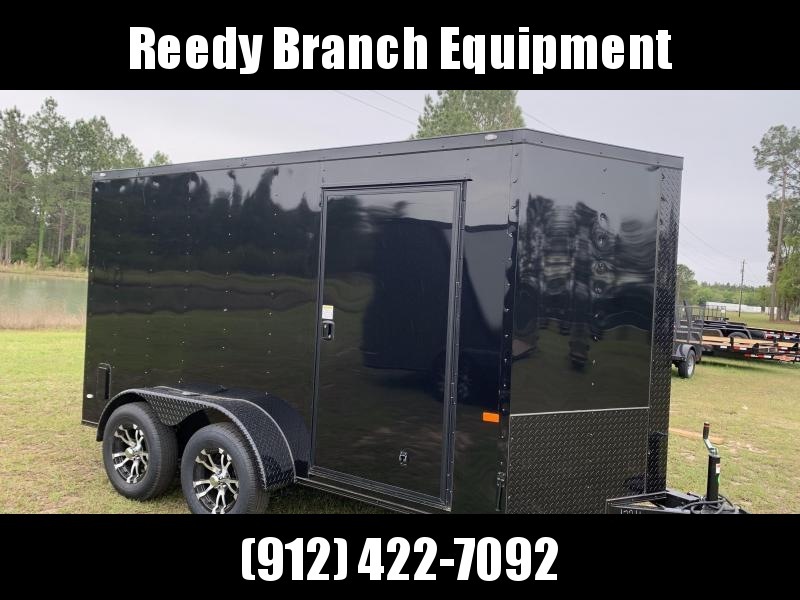 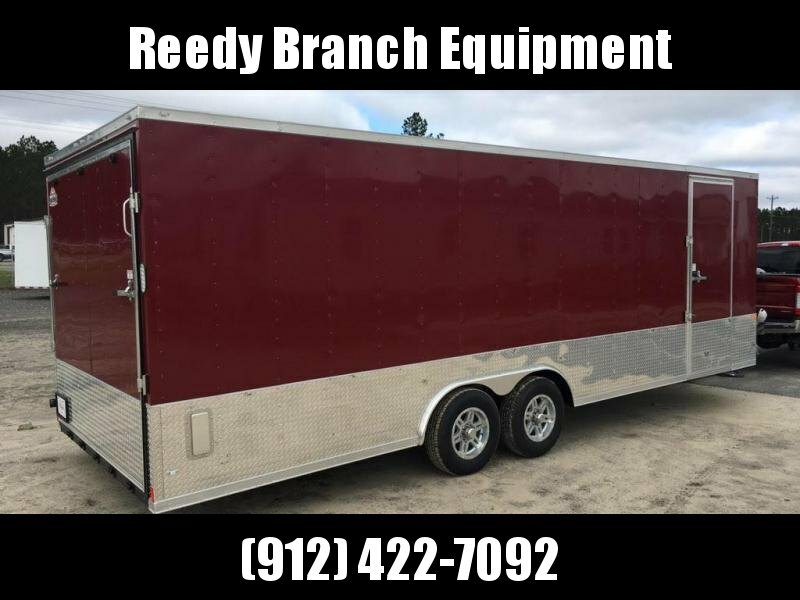 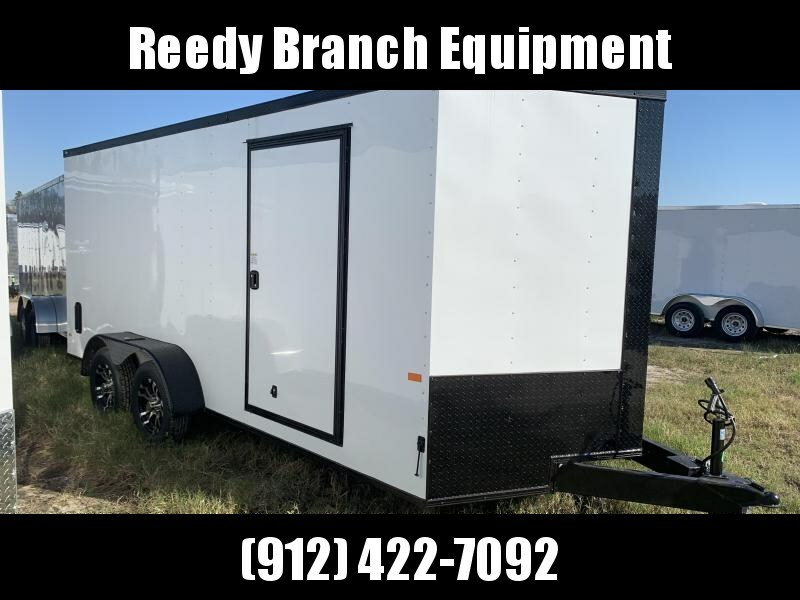 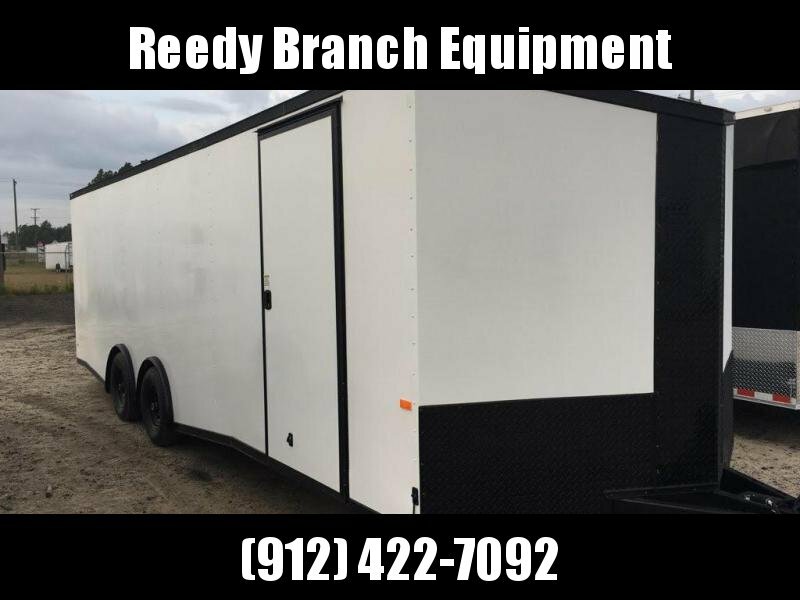 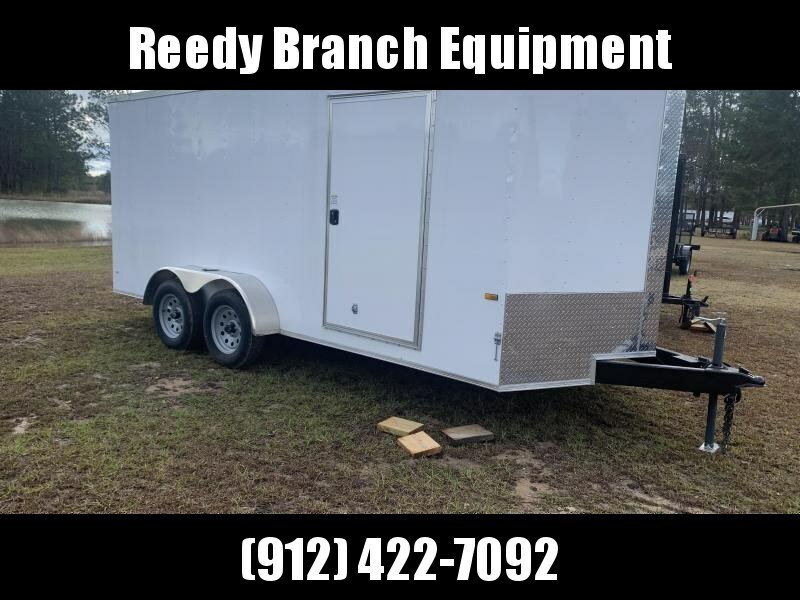 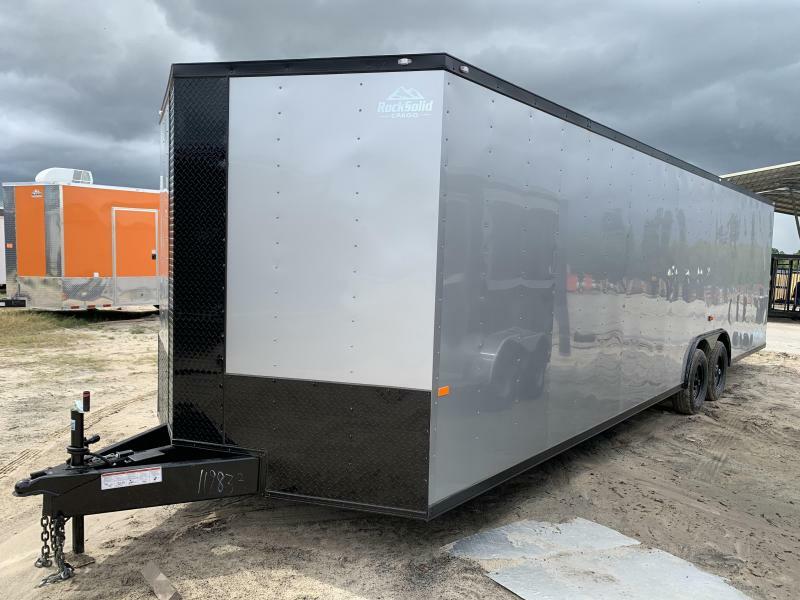 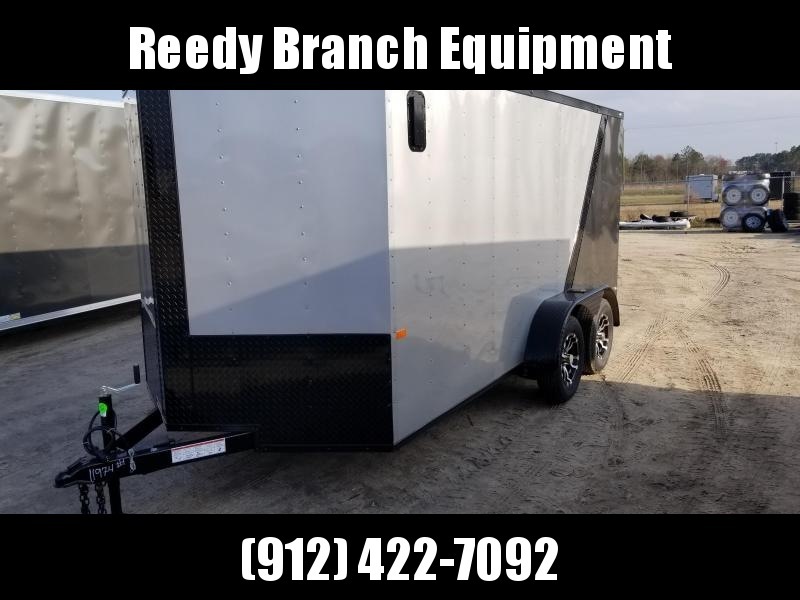 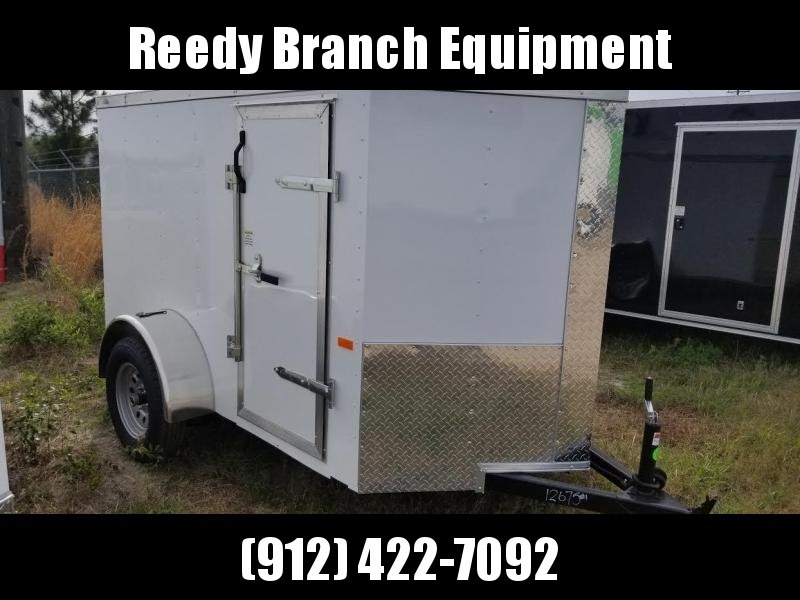 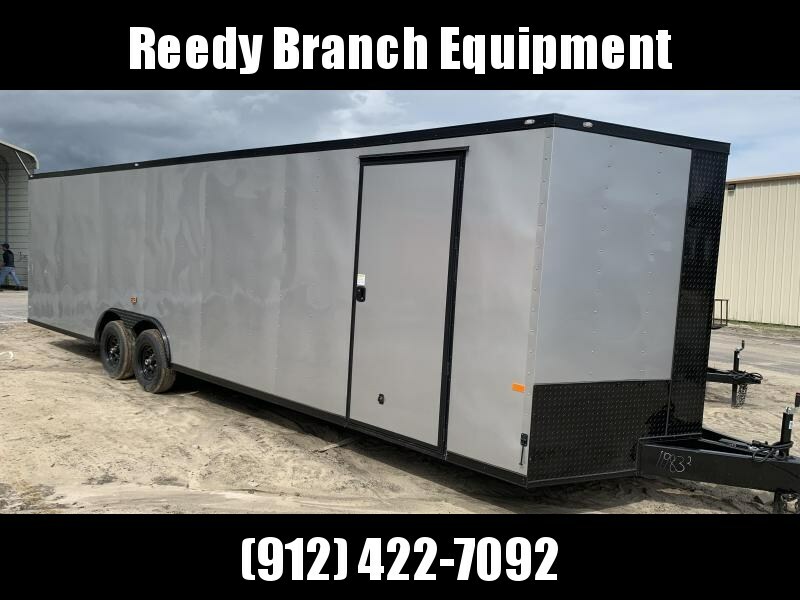 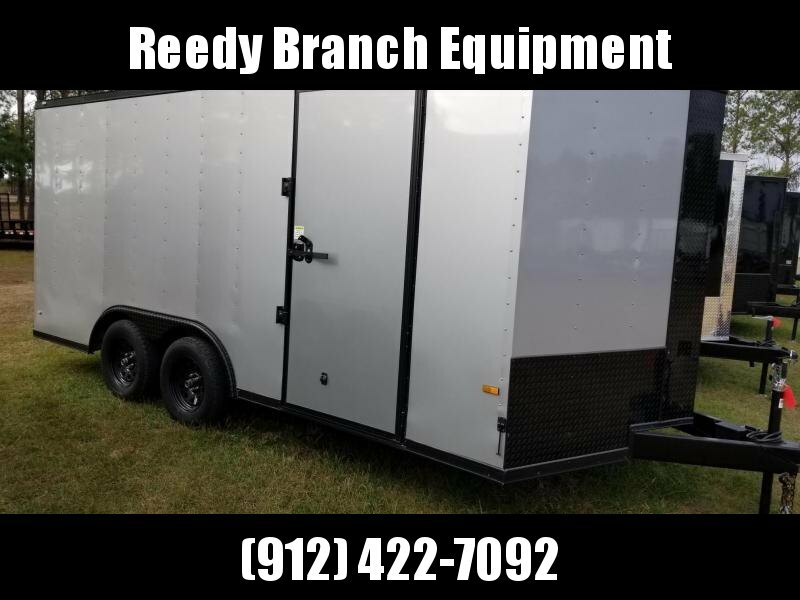 This trailer comes with 5200lb drop leaf spring axles, .024 silverfrost, blackout package which includes all black trim, black mod steel wheels, radial tires, and LED lighting package. 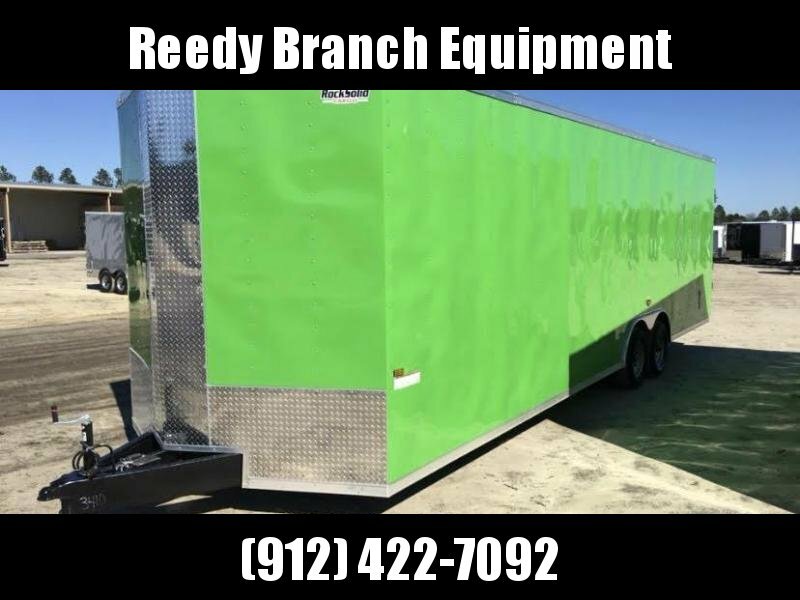 Add $199 for 60" Extended triple tube tongue as seen in pictures. 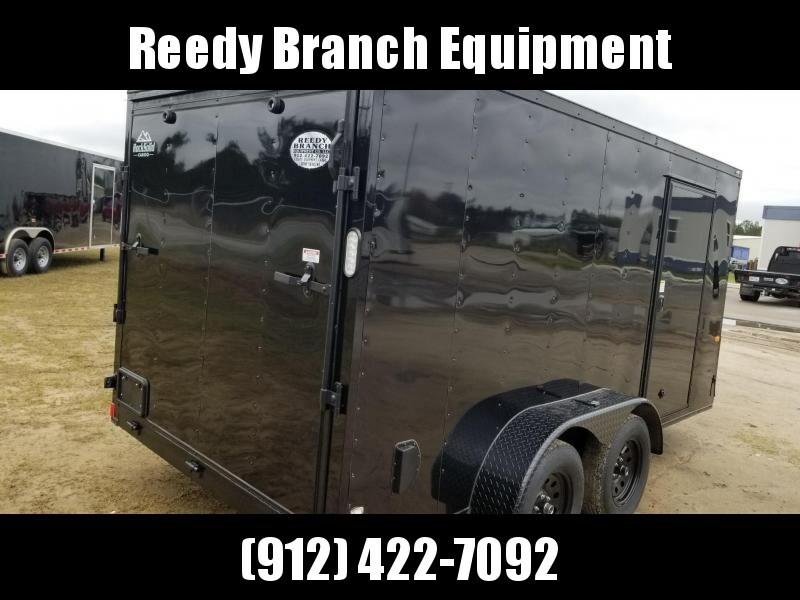 Ask about upgrading to .030 metal for a smoother exterior metal!